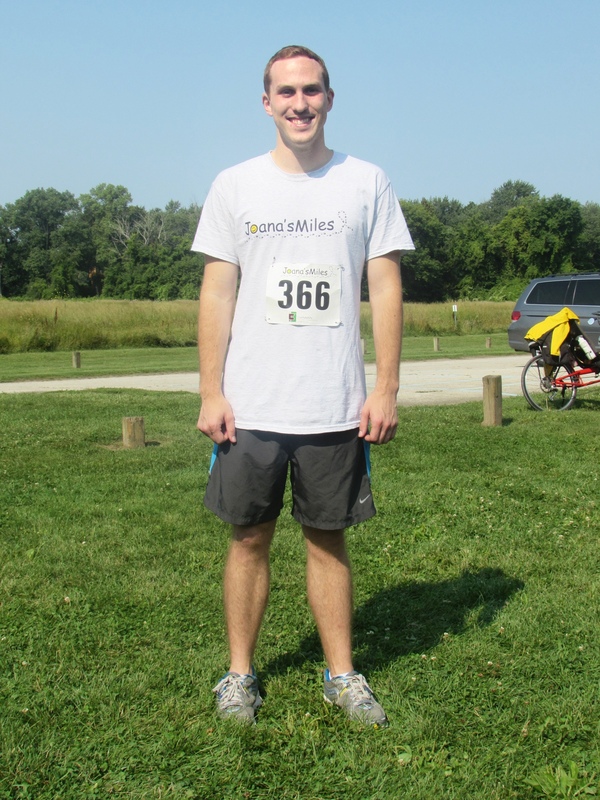 The first annual Joana’s Miles 5K Trail Run/Walk and 1 Mile Fun Run took place yesterday morning at Imerman Memorial Park in Saginaw Township, Michigan. I attended the race to do work for Hooray Run, but I left with much more than that. I was able to talk with Joana’s mother, Tina Walsh, and Joana’s boyfriend, Adam. They were grateful for the enormous turnout and the $3,000+ raised. Joana ran cross country at White Pine and Heritage. For the second annual race next year, HR will look to do a longer feature. It’s for a great cause, and it’s a family-friendly atmosphere. The previous two photos posted on HR were taken at the race. Photographed here is Adam, the aforementioned boyfriend of Joana.